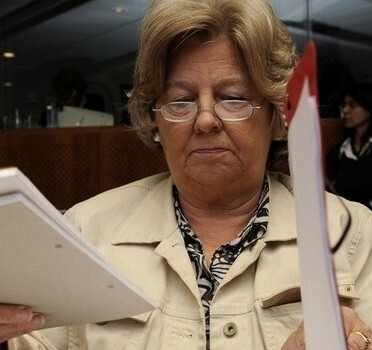 I went to work yesterday, knowing that (according to the rumors) this umm....lovely lady was going to be fired from her position as Integrations Minister of Denmark. Anyway, I went to work, figuring that by 5pm, we'd have a new member of Folketinget (Danish parliament); however by the time I got home from work, they had conducted what we in Texas refer to as a FRUIT BASKET TURNOVER! Folks were fired, others "resigned for personal reasons" (yeah, whatever TN! ), and all of a sudden we had all kinds of new faces in the Folketinget! So maybe my quandary is not with learning HOW to understand the inner workings of the Danish government, but rather, HOW ON EARTH we can DUPLICATE this practice in the US? Wouldn't that be great to go to work one morning, knowing that by the time your work day ended, Barack would have done his own fruit basket turnover on Capitol Hill because people WERE NOT DOING THE JOB THEY WERE ELECTED TO DO? Hmm..... these Danes just might be onto something! The US government, supposedly the model for all things good, is so broken. It depresses me how very far we are from it ever being fixed. Heads of Danish ministries are just like Cabinet members in the US - they are both appointed by the PM/President and serve at his pleasure and get tossed out when they screw up. Thankfully most of the time the Cabinet in the US doesn't break UN conventions (yeah, I'm looking at *you* Roberto "Waterboarding is OK" Alvarez!)! But if the President or PM could kick out people who were ELECTED by the voters... you'd have Dictatorship on your hands. Imagine what would have happened if Dubya could have thrown every elected official who opposed him out of Congress! By golly he could have rewritten the Constitution!! Horrors! Thankfully, no President or Prime Minister has that power, they only have the power to change the posts that they are allowed to appoint - Cabinet in the US, top Ministry posts in DK. C commented on this today while we were on the phone. I told him I hope maybe it will help make things easier when I get there :) Should I hope? I do love May Lin's analogy... just like peeing your pants... lol.